Wrapped up snug and sound asleep, the angelic face on this adorable baby is enough to melt anyone’s heart. The rest of the picture, however, will send a shiver down your spine. 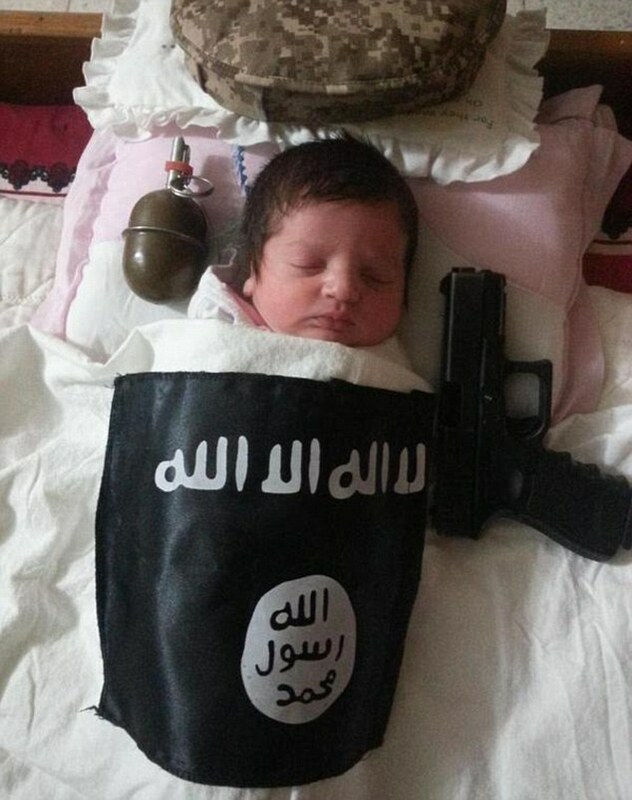 Disturbingly, the infant has been placed next to a hand gun and grenade and draped in a blanket with the sinister symbol of the Islamic State terror group. 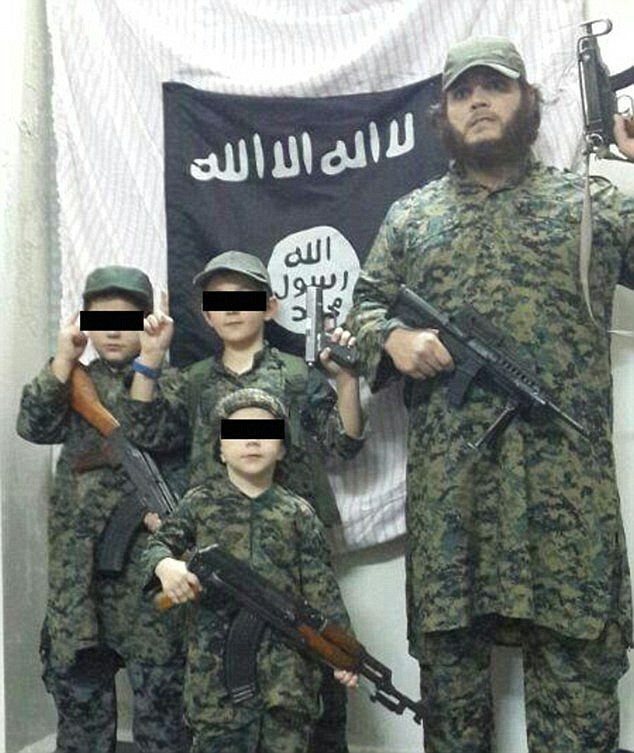 Abu Mohammed, an administrator for Raqqa Is Being Slaughtered Silently (RIBSS)‎, believes the baby is the latest in a line of children being forced to pose next to weapons by their jihadi parents. 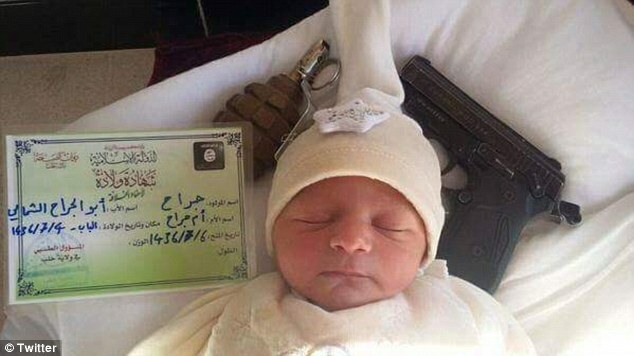 The image comes days after another RIBSS activist posted a picture of a baby sleeping next to a grenade, a handgun and what appears to be a birth certificate. It was uploaded by Abu Ward Al-Raqqawi, a self-proclaimed ‘founder of the Syrian revolution’, with the warning: ‘This child will be risk to you not just to us’. 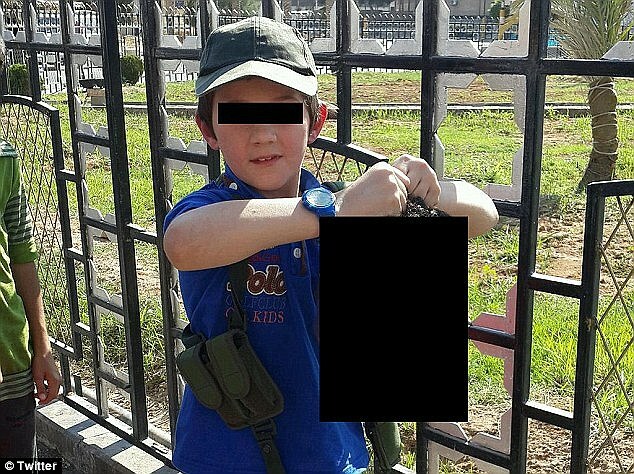 The images bear strong similarities to earlier ISIS propaganda which attempt to radicalise the next generation of jihadis. Terror experts revealed that such images attempt to showcase the group’s supposed longevity. The image was believed to be posted by Al-Raqqawi in the hope of garnering attention to the international threat posed by ISIS. Australian National University terrorism expert Dr Clarke Jones told Daily Mail Australia the image appears to be authentic. Jones said the post could be an international plea for military intervention on account of the rapid deterioration of life in Raqqa, the stronghold of the Islamic State. 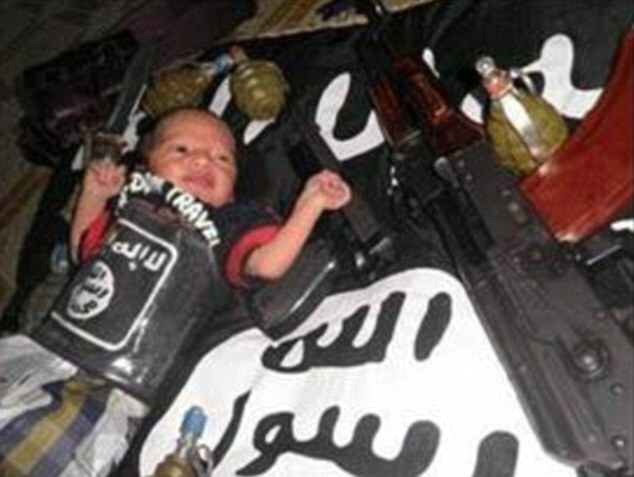 Last September, a harrowing image was released by the group of a baby dressed as a fighter lying on an Islamic state flag next to grenades and automatic firearms. 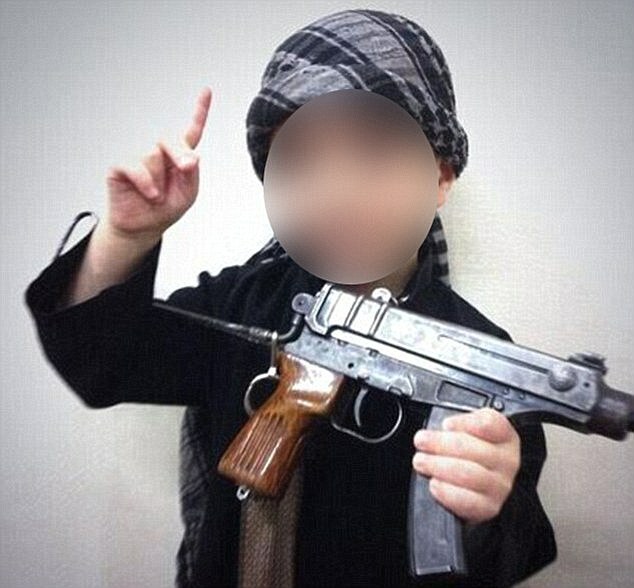 ISIS has made it a policy to groom children to take part in jihad, brainwashing them from a very young age. Online propaganda is an integral part of this process, with the group using scores of social media accounts to disseminate their messages to youths around the world.